Divorce is often a long process full of ups and downs. It can be incredibly complex or it may play out in a straightforward fashion. You may only be able to communicate through lawyers or other third parties, but at least there’s a flow of information. 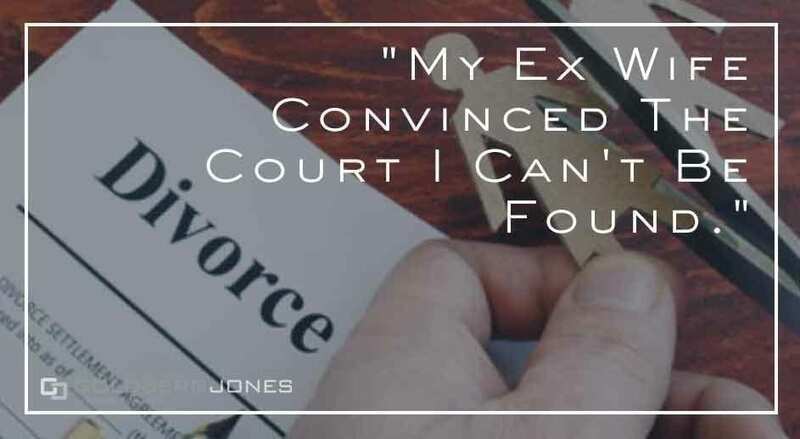 What happens if you want to divorce but you can’t find your spouse? Well, that certainly complicates matters, doesn’t it? Divorce is difficult enough in the best of times, let alone when you can’t locate the other party. There is, however, a legal process you can go through if this happens. You can follow certain steps, fulfill certain requirements, and have the court declare a default. It’s time-consuming, but you can do it. But what happens when you’re the one who can’t be found and the court declares a default? It sounds like a crazy story, but it happens more often than you may think. Our founding partner, Rick Jones, recently appeared on the Danny Bonaduce and Sarah Morning Show to answer listener questions. One audience member texted in just such a situation.